This is a great marinade for beef, pork shrimp, or chicken. If you use this for seafood, you don’t need to marinate for more than an hour or two. For chicken or beef marinate for at least 2 hours and maybe even overnight. 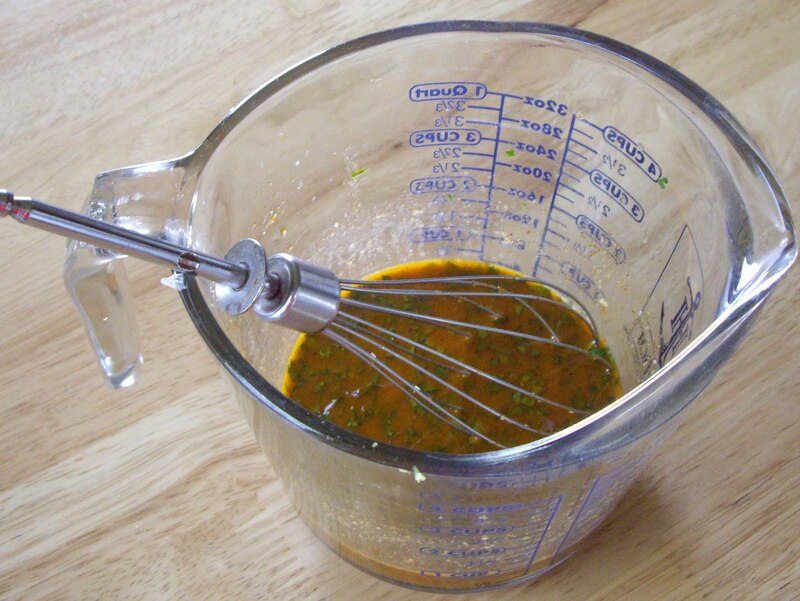 In a bowl or glass measure, combine all the ingredients and whisk well until blended. Pour over your choice of meat, poultry, or seafood. Marinating does more than just flavor your food. If you just want flavor, you can just season the outside. But marinating reaches deep inside your food so the flavor flows through the whole meat or vegetable. But, marinating also makes your food more tender and juicy. Most marinades contain some kind of acidic ingredient such as lemon juice or maybe even vinegar. The acid helps to break down tough, fibrous tissue and the result is tender even when using a tough cut of meat. When you are planning to marinate, you don’t have to worry about tenderizing the meat. You can buy marinades, use a salad dressing as one, or even make one from scratch. One of my favorite marinades is basil marinade. Every summer, I just can’t wait for my basil to get big enough so I can make it. I usually make it with chicken breasts on the grill. It is fantastic. If you haven’t tried it, I highly recommend it.